1. Avoid rubbing & scrubbing in the shower–Your Air-Tan is applied to the top layers of your skin, so when you see it coming off, it’s really your skin exfoliating. 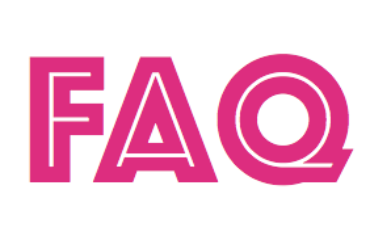 In order to maintain your tan, you want to try to slow the exfoliation process. One of the ways to do that is to avoid rubbing and scrubbing in the shower. It is best just to use your hands to wash off with your body wash, as opposed to using a loofah or a wash cloth. 2. Pat yourself dry when coming out of the shower–This also goes for after you get out of the pool or ocean or are drying off after a sweaty workout. Same philosophy as in point number 1 above, rubbing=exfoliating, so be gentle to keep your Air-Tan on. Also, make sure you pat your hands dry after you wash them. Hands are one of the first areas of your tan to fade since we all wash them so often, so be extra careful! 3. Moisturize!–You want to moisturize yourself AT LEAST once a day, but wait until after you take your first shower before doing so. Depending on your skin type and the weather, you may want to moisturize twice a day. You can use any regular moisturizing lotion. 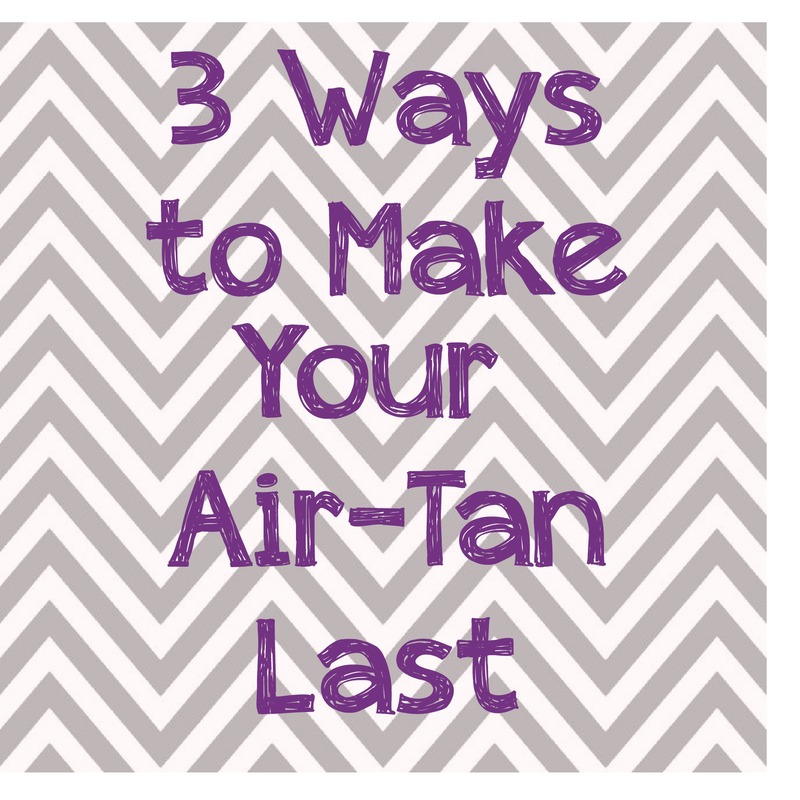 Lots of people ask if using a self-tanning lotion helps make it last, and the answer to this is NO. 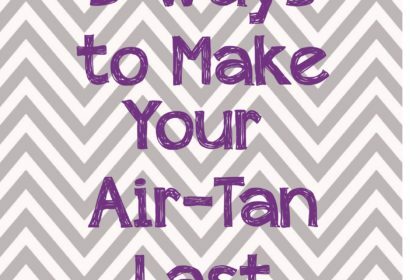 You NEVER want to layer self-tanner on top of self-tanner. This is when you can start to look orange, streaky, or even worse–both!